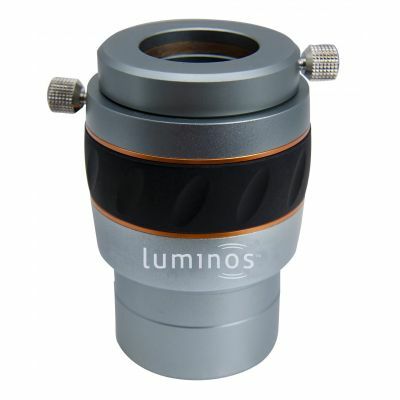 This item inserts between the eyepiece and the eyepiece holder on the telescope and increases the magnification by 2.5x. It can be used with 1.25 Inch eyepiece and 2 Inch eyepieces. The 4-element fully multicoated lens assembly offers superb field flatness and minimal chromatic aberration.